I’ve always loved reading. Almost every day during summer vacation, I’d gaze longingly out the window as my mom drove the minivan past the local public library on our way to the beach. “You have books in your bag, just read those at the beach,” she’d say, ignoring my complaints about the wind flipping my pages and the sand in my binding. As an adult, I’ve learned to appreciate my outdoor time a lot more, but every trip to a library takes me back to the rainy summer days when my mom would turn left into the library parking lot instead of driving past. I loved everything about the library: the dusty book smell, the ancient footstep-muffling carpets, dragging a chair over so I could peer into the guinea pig cage they kept in the Kids section, sneaking into the Young Adult section to read Forever by Judy Blume. I still love libraries, but now I can appreciate them more fully. They’re not just for books these days! They’re a quiet space to study, read, take a nap, or simply be. 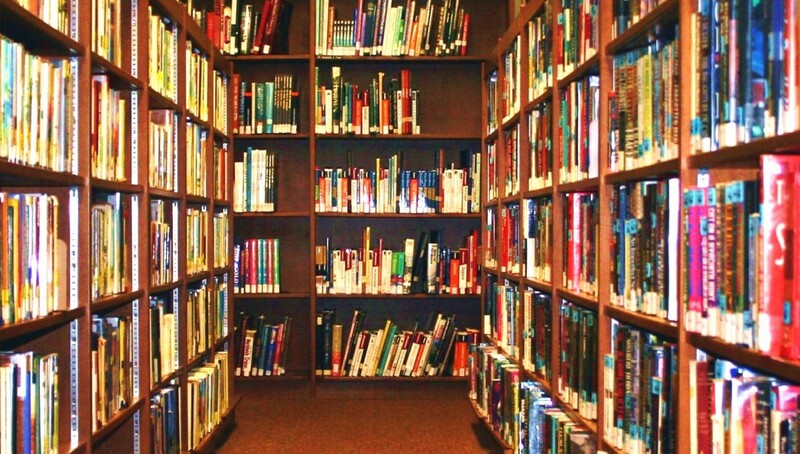 For your convenience, Discover Monadnock has not only compiled a comprehensive list of Monadnock region libraries, but this week we’re highlighting a few of them to show our readers everything libraries have to offer. Let’s get right into the heart of the Monadnock region with the first public library in the country! The Peterborough Town Library is indeed the oldest, tax-supported library in our nation, and is a thriving community center and resource for the town. With meeting space, technology, teen-oriented “Pizza & Pages” book club, and opportunities to read to a dedicated therapy dog named Toven, make this library special. The library also has plans to grow! Serving the community and offering a gathering space to locals is high priority for the library, as is creating space for students to explore ideas in a safe and collaborative environment. Speaking of growth, another stellar library in the urban center of the Monadnock region is the Keene Public Library. They are also looking to grow, increasing the space they have to offer community programs, and increasing the technological tools offered. The library visions its purpose to be vital to creativity and innovation in the community. To that end, they offer a great collection of books, but also innovative tools like technology, a 3-d printer, and more! Bustling with events, from family contra dances to tots’ story time to movies to makers events, the library makes its programs and collections accessible to all, from families to people with disabilities. 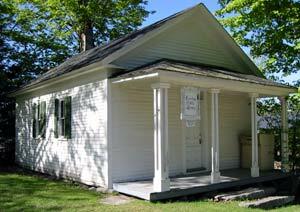 The Harrisville Public Library may be small, but it sure has a lot to do. They update their blog regularly with fun and innovative activities – often free! Some of their more recent programs include movie nights, coffee hours, a cookbook book group, and an all-ages celebration for National Poetry Month, complete with refreshments. One of the best parts of this library is their hours. They are open from 3-7pm Monday through Thursday, which is great for library patrons who have work or school earlier in the day. 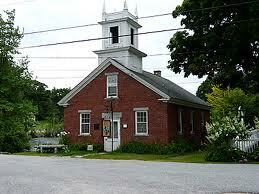 North of Harrisville, you’ll find the Davis Library in Stoddard, NH. Their blog hasn’t been updated in a while, but they’ve got some timeless resources linked on the right side of the page to keep the web traffic coming. If you click on the blog link, you’ll find even more links to downloadable books, Toadstool Bookshop events, book reviews, and so much more! They also boast those 3-7pm convenient hours, two or three days a week (depending on the season). 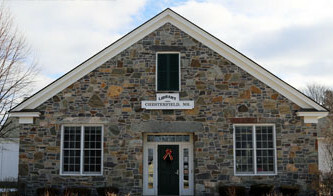 To the south, check out the Fitzwilliam Town Library – the 2009 New Hampshire Library of the Year! The programs offered at this library simply can’t be found anywhere else. In the past two months they’ve held a one-man Shakespeare performance and a telescope tutorial – just about as polar opposite as you can get! So if you’re looking for a diverse, award-winning library experience, Fitzwilliam Town Library is the one for you. If you’re looking for a library that’s a different sort of unconventional, head east to the Deering Public Library. Their blog features new books, information on story hours and other programs, and a special birthday shoutout to renowned children’s author Beverly Cleary – who just turned 100! The uniqueness of this library experience is enhanced by the fact that it’s in a historic schoolhouse. True to its small town history, this library has no regularly established hours. Instead, you can show up during the Deering Town Hall hours and borrow a book on the honor system. It doesn’t get much simpler than that! So there you have it, folks. Whether you’re a reader, a poet, or an astronomer, our very own Monadnock region has you covered when it comes to beating those humid, drizzly summer days. Happy reading!